(Washington, DC) – The US should expedite the return of Yemeni detainees cleared for release from Guantanamo Bay, Human Rights Watch said today in a letter to President Barack Obama. 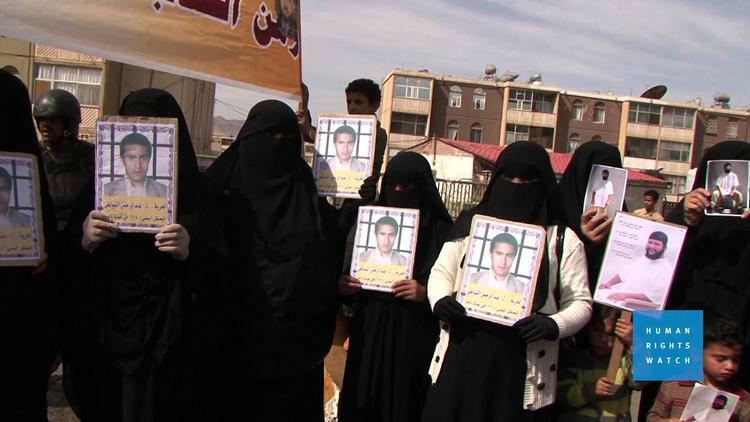 Human Rights Watch released a video showing the plight of families of Yemeni detainees. All Guantanamo detainees should be returned or resettled, or charged and prosecuted in US federal courts. Obama imposed a moratorium on returning Guantanamo detainees to Yemen after the arrest of the “Christmas Day bomber,” who had trained in the country. Although he lifted the moratorium in May 2013, no Yemeni has been returned, and currently 56 of the 76 Guantanamo detainees recommended for transfer are Yemeni. On his second full day in office, Obama pledged to close the Guantanamo detention center, and reiterated that commitment in his 2014 State of the Union address. Yet 154 men remain in Guantanamo, including 88 Yemenis. The return of Yemeni detainees, most of whom have never been charged, is an essential component of any plan to close the detention facility, Human Rights Watch said. The vast majority of detainees at Guantanamo are being held in prolonged indefinite detention without charge or trial, in violation of international human rights law. Alleged mastermind Khalid Sheikh Mohammed and four others implicated in the September 11, 2001 attacks, as well as a Saudi national charged with the 2000 attack on the USS Cole, are being tried before the fundamentally flawed military commissions at Guantanamo. Human Rights Watch has long called on the United States to either prosecute detainees in trials that meet international due process standards, or release them.